Astronomer Melina Bersten and her colleagues at the Instituto de Astrofísica de La Plata in Argentina soon learned of the serendipitous discovery and realized that Buso had caught a rare event, part of the first hour after light emerges from a massive exploding star. She estimated Buso's chances of such a discovery, his first supernova, at one in 10 million or perhaps even as low as one in 100 million. Filippenko and his colleagues obtained a series of seven spectra, where the light is broken up into its component colors, as in a rainbow, with the Shane 3-meter telescope at the University of California's Lick Observatory near San Jose, California, and with the twin 10-meter telescopes of the W. M. Keck Observatory on Maunakea, Hawaii. 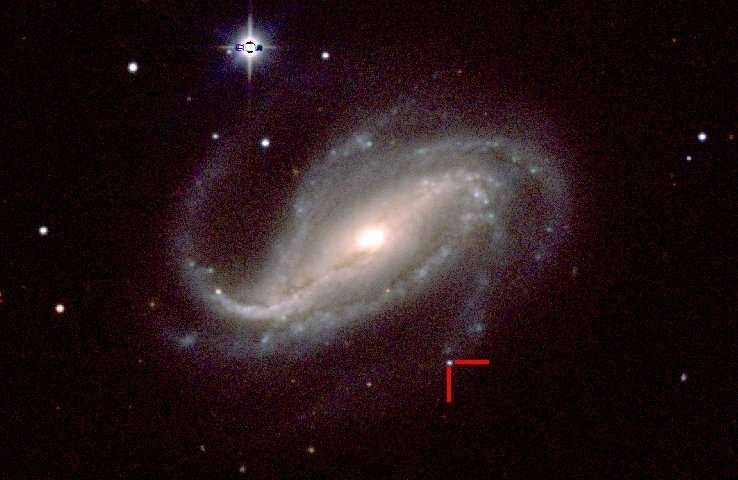 This allowed the international team to determine that the explosion was a Type IIb supernova: the explosion of a massive star that had previously lost most of its hydrogen envelope, a species of exploding star first observationally identified by Filippenko in 1987. 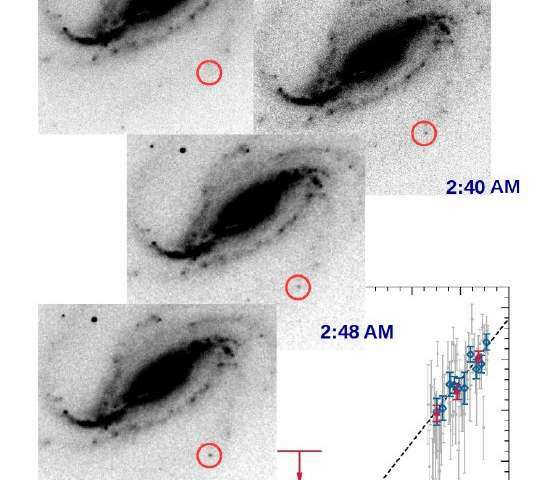 Filippenko's team continued to monitor the supernova's changing brightness over two months with other Lick telescopes: the 0.76-meter Katzman Automatic Imaging Telescope and the 1-meter Nickel telescope. Very impressive accomplishment. Buso was the right man at the right time with the right equipment. Smartly recognizing the importance of his fortuitous discovery. He generously communicated his data to a network of astronomers. That their different technologies could capture a spectrum of ephemeral data. Thanks to Dobson for so much popularization of amateur astronomy.